Flash version 9 or above required to view video: Get flash. Scientists have called for a ban on a pesticide with links to Parkinson’s disease and have warned more people may get sick. STEVE CANNANE, PRESENTER: There are calls to ban a pesticide with links to Parkinson’s disease. 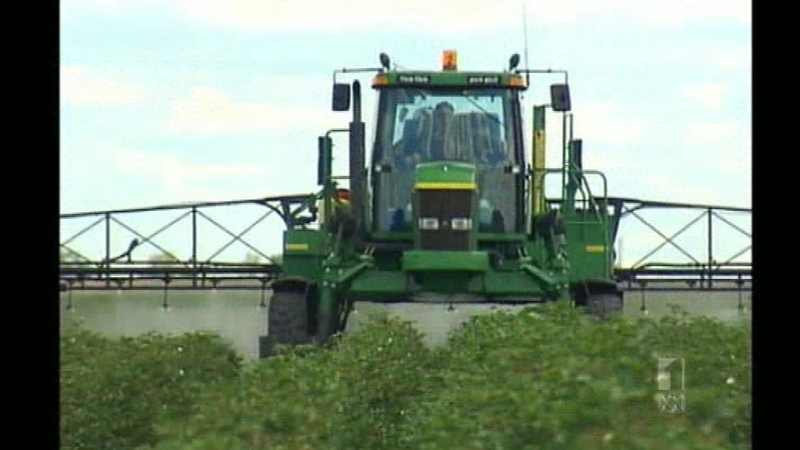 Paraquat is under review by the pesticides authority but scientists warn many more people could get sick while’s decision is being made. Kirrin McKechnie has the story. KIRRIN MCKECHNIE, REPORTER: It is a herbicide used extensively in agriculture. But the move is on to try to ban Paraquat. DARYL SMEATON, PARKINSON’S AUSTRALIA: The use of chemicals is important in agriculture, we know that. But we’ve got to make sure those that have a bad reputation aren’t used. KIRRIN MCKECHNIE: Paraquat has such a bad reputation it is banned in 32 countries, including across Europe and parts of south-east Asia. Scientists say the chemical has known links to Parkinson’s disease. JOHN POWER, FLINDERS UNIVERSITY: Once you’ve got Parkinson’s you’ve lost a certain number of brain cells in the particular area of the brain related to movement. A number of chemicals, Paraquat, Maneb, Rotonome, all target those cells. And destroy them. KIRRIN MCKECHNIE: Parkinson’s Australia is now planning a national campaign to force the Commonwealth to act. It is warning the Federal Government it could face compensation claims if it doesn’t. DARYL SMEATON: That’s certainly part of the questions that we have to raise with government. Where there’s smoke there’s fire. KIRRIN MCKECHNIE: The Australian Pesticides and Veterinary Medicines Authority admits Paraquat has been under review since 1997, but visit investigations are still ongoing. As it makes up its mind, scientists are urging better education about the dangers. DARYL SMEATON: The evidence is growing day by day. KIRRIN MCKECHNIE: So, he says, is the incidence of Parkinson’s in farming communities.